The firm has been serving Tampa Bay clientele since its inception in 1982. In the past, we have had clients as far away as Africa. Our goal is to compile accurate financial statements while reducing our client’s tax liability to the minimum. We will research any past or future transaction in order that our clients take full advantage of any tax breaks. 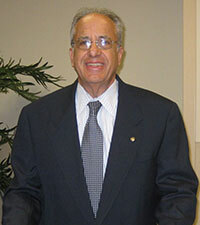 Gary E. Marcus received his business degree from the University of Georgia. Prior to opening his CPA firm, he received accounting and tax experience in a wide variety of industries. He is a licensed Community Association Manager and an arbitrator for FINRA (Financial Industry Regulatory Authority). Mr. Marcus has been a Rotarian since 1983 and a Toastmaster for many years. Many of our clients have been using our services for over 25 years. Are you paying the lowest legal taxes? Ask us. Copyright ©2019 Gary E. Marcus CPA.